This type of filter is mainly used in Class 1,000 to 100,000 C/R which can replaces the traditional HEPA BOX type filter. It’s easy to replace and more economical than Box Type, which makes it a desirable choice for construction engineers. Easy replaceable filter unit can reduce the cost and it is more efficient. Clip-on filter fixture. Filter can be replaced from roomside. Quick installation and convenient to replacement. 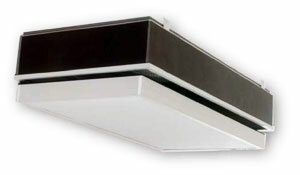 Fit for all kinds of ceiling grid, heavy duty T-bar, light duty T-bar,and ceiling panel. Made by anodized aluminum, light in weight Easy to handle and install. There are various of inlet ducts and stainless outlet panel to choose, which satisfied all needs. Collect specifically with "KOWA" replaceable air filter. Quality is guaranteed. Filter Unit Model Dimension Filter Model Dimension Capacity Initial P.D.